Ohio's Appalachian Country is categorized into four regions, each offering uniquely Appalachian attractions and opportunities. 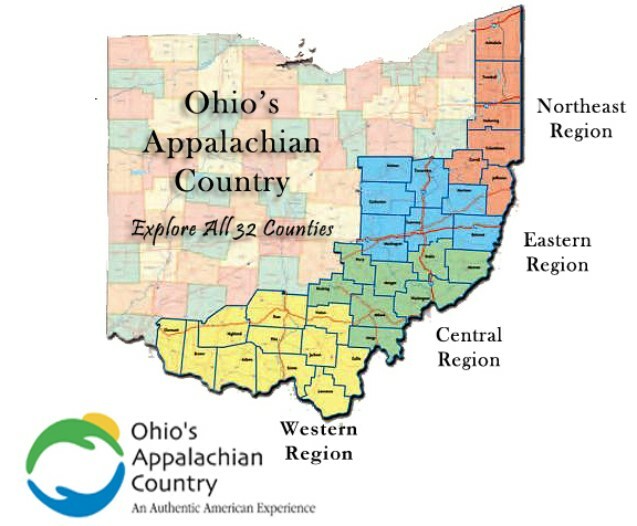 Appalachian Ohio spans 32 counties, running from the edge of Cincinnati to the edge of Cleveland. Main routes of travel include Routes 50, 32 and 33, along with the I-77 Corridor, and Rt. 7 along the Ohio River.